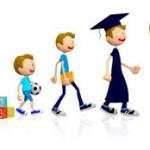 Home > News > Business Growth – Likened to Child Rearing? Business Growth – Likened to Child Rearing? How many times have you heard someone refer to their business as their “baby”? It’s a common analogy and one we can all relate to given the blood, sweat and emotional tears we put into our business, when we decide to take that leap of faith and build our own dreams. One of our team was using the comparison of raising a child to growing a business with a client recently and we thought it was worth delving into this analogy a bit more. By the way, main differences we can see is that a baby is unlikely to pay you back financially and, unlike a baby, the business should be feeding you. 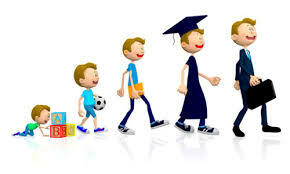 So how is having a business like raising a child and why should we be monitoring our child’s milestones (or KPI’s)? You’ve had a great idea and pour time and energy into creating/launching your business. There’s initial euphoria – “what fun!” and you have big dreams. Ensure you foster the right environment to incubate your business, give birth to it and get it up and running. Whether you are just starting out in your business ventures or a seasoned veteran doing it over again, get excited about monitoring your month-on-month growth, put plans in place to monitor progress and have a good support team in place. That great idea has now become hard work. Your business is likely to be solely dependent on you. All available time and money is consumed by the rapid growth and you probably didn’t think it would be this tough – it is tiring but has some great moments too. It’s also a key time to be monitoring every aspect of the business closely –including knowing your average dollar sale, sales needed, debtor days, stock liquidity, gross profit etc. KPI’s provide an immediate snapshot of the overall performance of your company. Think of your business dashboard as your Plunket book – all new parents like to know their child is growing on a healthy curve. Similar to a toddler learning to walk, it’s likely you’re also learning what hazards to avoid and safety measures to put in place. Growth usually happens in spurts; however, the business is showing signs of becoming more independent. With growth comes the need for boundaries and operations – good systems and governance is important to ensure all those involved are heading in the same direction. Randomly check-in on basics too, now that others are taking on some responsibility. Is your team looking after ‘your baby’ the way you want them to? Create an atmosphere of learning – when you notice an unfavourable reading on a KPI, you have the chance to talk to the individual or team involved with that specific KPI. This is a great opportunity for you to teach others how to do things differently and perform better in order to reach set targets. Additionally, you can analyse whether the set KPI’s are an effective measurement, or make necessary modifications if needed. Allow for room to upskill yourself. Alternatively, are you ready to conceive another business? A significant milestone, likely to involve even more independence – working towards others doing the day-to-day and you (as the business owner) supervising it all, giving vision and guidance from experience. Go away for four weeks and chaos can still ensure though, you could face some big, hairy problems. Are you working towards business maturity? Have you developed a strategy for an exit plan? Do you have an operations manual in place? Remember, this could still be a very dangerous phase of business – don’t get caught thinking ‘the business doesn’t need me’. Keep your finger on the pulse to ensure things aren’t happening without you knowing about them. Your business goal is accomplished. You have people onboard who helped get you to there and you now have time to do what you love, both inside and outside the business – enjoy the fruits of your labour. You also have a rich repository of experiences that you can use to help guide others. It’s time to really kick back and relax. What is your exit strategy or succession plan? Have you started grooming your business 3-5 years prior to your preferred exit date? Do you have a specific exit date? And, importantly (believe it or not) do you also have the time of day that you will celebrate this? Ask Trish about why this is crucial. How will you celebrate and with whom? Deciding the answers to your above questions are crucial. Planning how to make your business sale ready across all key areas of strategy, marketing/branding, operations, systems, risk management, compliance and team management are key steps. Applying the child rearing analogy through to retirement is a far more desirable outcome than a premature death because you end up shutting the doors. We are happy to have a meeting to discuss your succession business. Don’t by the way, think you need to be older to “retire” your business via a successful sale. There is some merit in potentially realising the hard-earned efforts before the rush occurs. Talk to us now. Trish and the team. What are the similarities between growing a business and raising a child? Just as we wouldn’t raise a child without any guidelines, always establish specific goals, which allow you to create the necessary KPI’s in order to improve the overall results of your business. Need help establishing or tracking KPI’s? Or want to grow your business to the next level? Check out the workbook 7 Stages of Business Growth to help identify what stage of growth each area of your business is at right now, what challenges you expect to face and solutions to these challenges. We have heaps of business tools and workbooks available to help you run your business. Just visit our website or call us on (04) 972 4182, (09) 232 3054 or (03)-666 0124, or email.